You are browsing the Blog for cheese. We are making loads and loads of homemade raw goat milk cheese (chevre) around here. Because of this I have to find new and exciting ways to USE the goat cheese, hence today’s recipe. 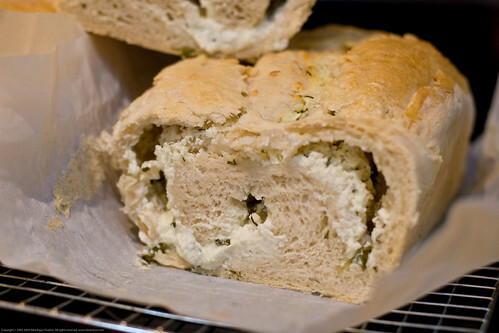 The bread comes out delightfully herby, cheesy, and moist. Super delicious. 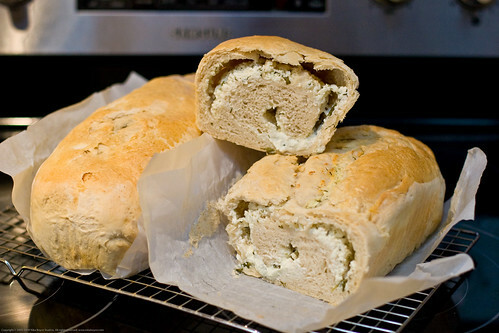 This bread keeps well in the refrigerator and goes fantastically well with red meat as a side. This bread is a definite keeper for me! I made a video on how to make chevre cheese, see below. Its certainly not the best video out there but it gets the job done! Sorry that my voice over is not more fetching! Mix together: flour, yeast, sugar, and salt. Add kefir and melted butter. 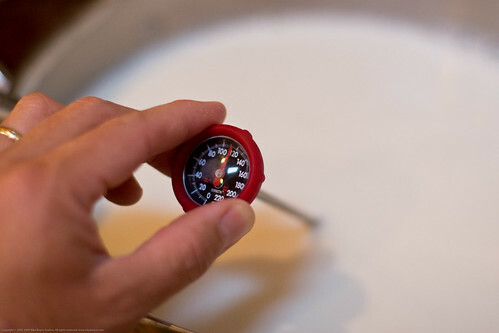 This part could be difficult if you are hand mixing (much easier if you are using a stand mixer). As you mix, its possible that this amount of kefir may not be enough. 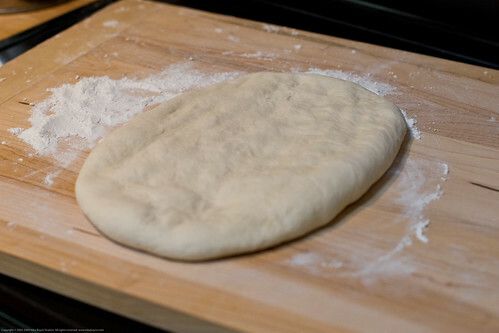 This depends on the dryness of your flour! 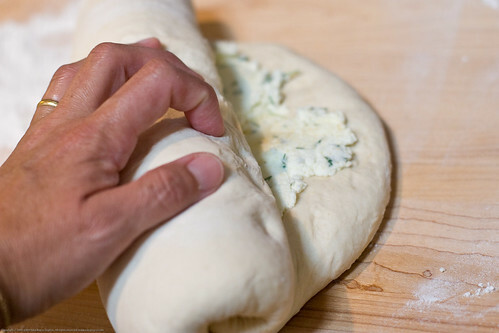 You will need to keep adding kefir until the dough comes together just right (not too dry and NOT too wet). 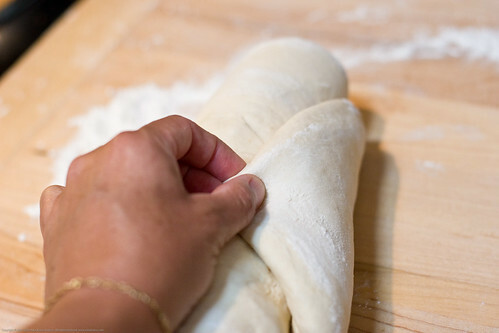 The knead the dough (hand/mixer) for a good 10 minutes or until it is delightfully elastic. Put dough into oiled bowl (make sure top of dough is oily too), cover with plastic, and let rise 90 minutes. In the mean time, prepare your cheese filling. 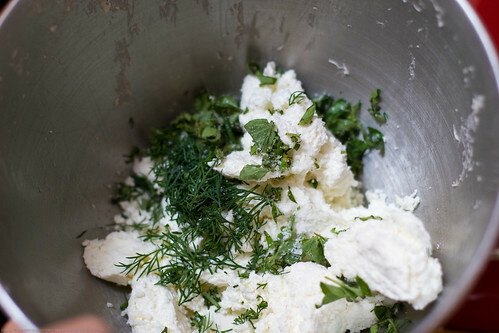 Mix your goat cheese with your herbs. 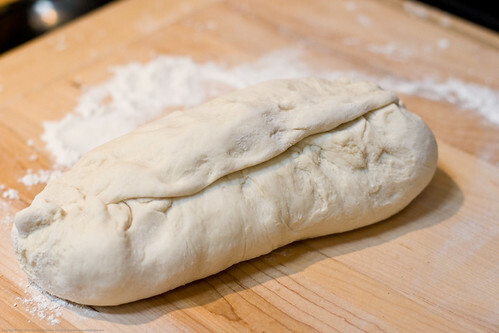 Once the dough has risen, punch it down and split it in half. 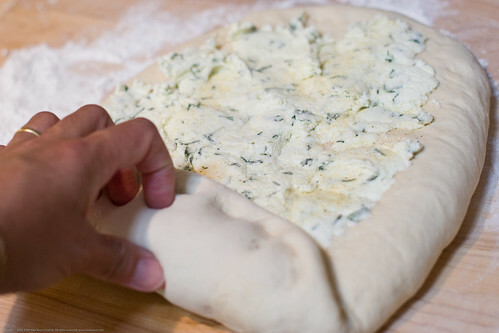 Roll out half the dough into a rectangle, not too thin. 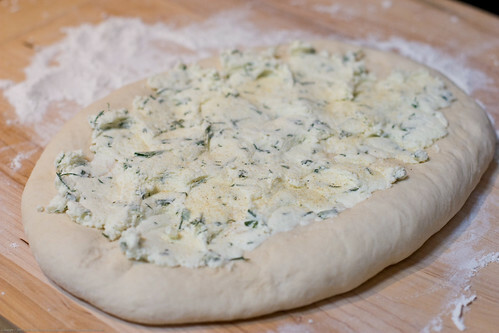 Take half of the cheese mixture and spread it out onto the dough rectangle. You now need to go to the next rise. 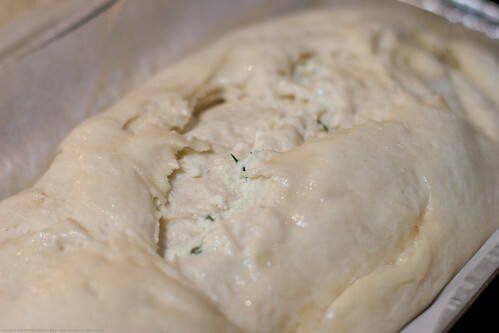 Put the dough in a bread pan, seam side DOWN. 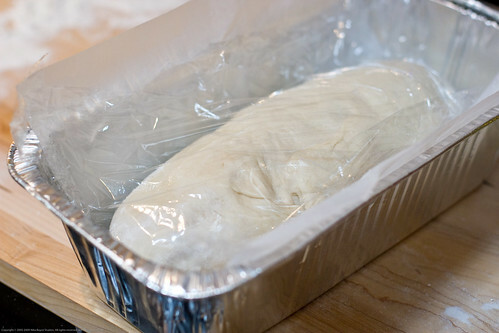 Oil and cover with plastic, rise for 90 minutes. Put into a 350 F oven for 40-45 minutes until the bottom sounds hollow when tapped. Be sure to keep this bread in the refrigerator (due to the cheese). Its amazing simply toasted (under a broiler, not in a toaster), try it! Wow, our ISP (to remain unnamed for the moment) REALLLLLY screwed us over, on galactic proportions. I feel shaky having come out the other end of this nightmare. My blogs are back and I am hoping our new ISP has more ethics than the last. 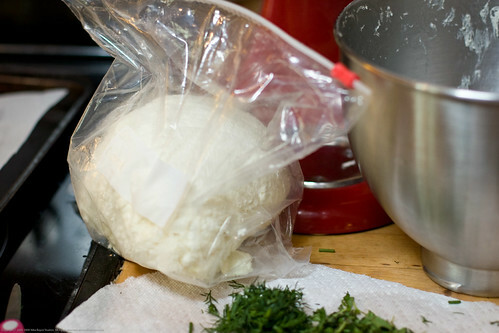 Today I am going to show you how to make an acid precipitated cheese called Queso Blanco. This is similar to paneer (Indian Cuisine) and is quite popular in latino cooking. We also have Queso Fresco which is different. 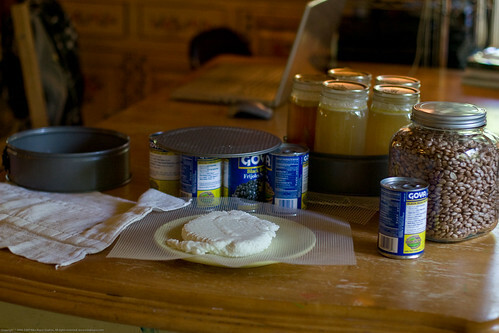 I actually prefer queso fresco but I didnt have the cultures needed to make that cheese on hand. I made 3 gallons worth of queso blanco because I had an over abundance of milk from our 7 milking LaMancha goats who are giving us between 2 to 2.5 gallons a day now. You can learn more about our real local backyard food at my homestead blog Humble Garden. I mentioned that this is an acid precipitated cheese. What that means is that the casein protein in the milk is rendered solid (and no longer able to float about in the fluid of milk) by changes made to the protein molecules by the acid. 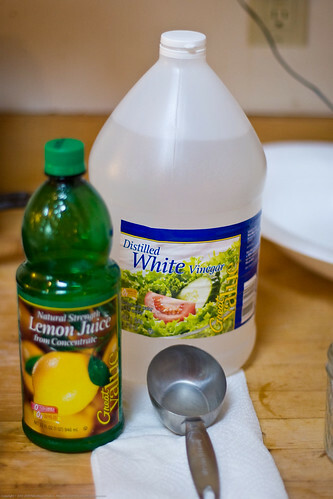 In this case, that acid is added (lemon juice, vinegar, citric acid, etc). Other cheese rely on lactobacillus bacteria to grow in the fluid milk. 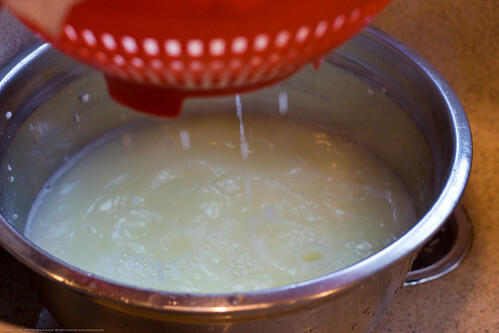 Over time, their metabolic byproducts include lactic acid which then, once the fluid reaches the correct pH, causes the change in the protein to form the curd. 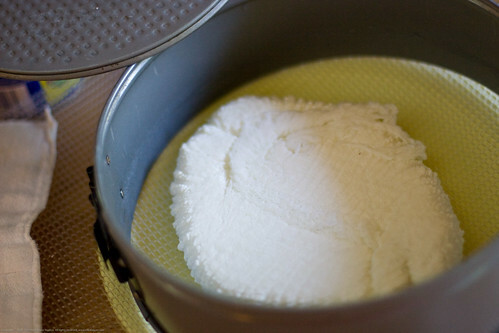 This second method yields more depth and allows for the creation of a cheese that stores long in some cases (versus queso blanco which must be eaten fresh). Ok, without further discussion, lets get into the how-2. 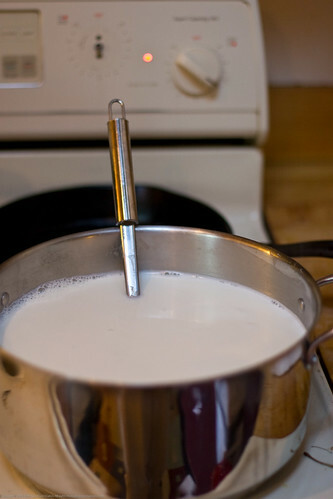 Heat the milk in a non-aluminum pot to 185 F, do not burn! 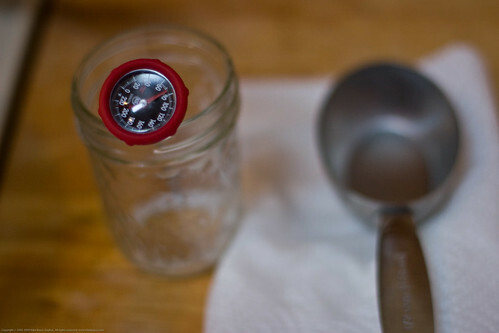 Use a thermometer and stir to keep the temperature evened out in the pot. Once it hits 185 F, kill the heat and add the vinegar and stir gently and then let it sit for 5 minutes. 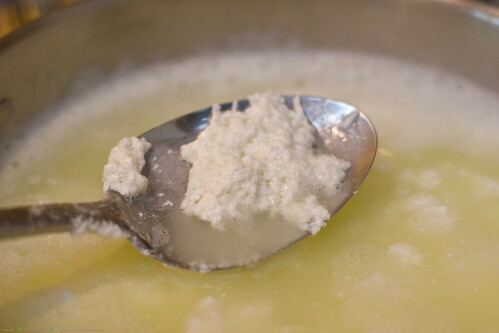 If you do not see the curd separating from the whey (white clumps in yellowish greenish liquid) then carefully add more vinegar until you get the curd. Stir for 5 minutes to keep it from clumping up. Pour the whole mixture (its hot!) 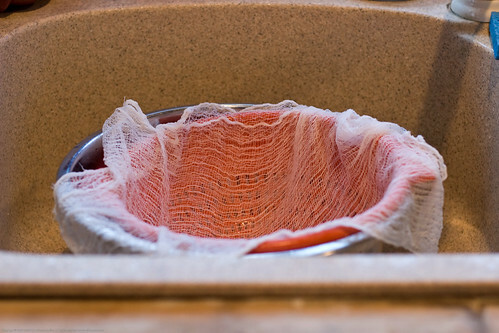 into a cheese cloth lined colander over a large bowl in the sink. Mix this slightly in the colander to encourage release of more whey. Now comes a 2 part pressing process. I do not have a proper cheese press yet and my scale died so I had to guess on actual weights. What follows is how I jury rigged it all! Put your well drained cheese in it’s cheese cloth, made into a tidy little ball, on a plate, and then add what is called a follower (in my case the base to a spring release pan form). Add 10 pounds of weight. After 20 minutes, add enough weight to make it 25 pounds and leave for 2.5 hours. When done you will have a well pressed cake of cheese! Refrigerate and eat within the week. 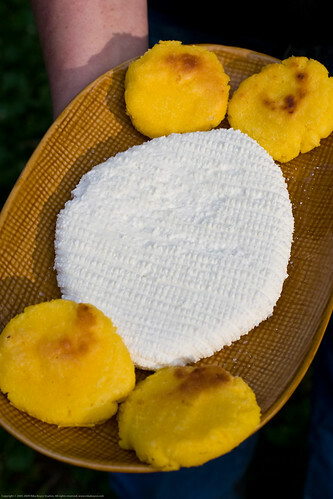 I love serving it with freshly made hot Colombian arepas. Goat Cheese by Maggie Foard (published by Gibbs Smith in July 1, 2008) is a delightful cookbook that explores a range of ways for using goats milk cheeses. You may remember that we have our own herd of 18 LaMancha dairy goats and that we milk 7 does on a daily basis (we are up to 2 gallons a day). I blogged on how to make chevre cheese from goats milk some time ago – Making chevre cheese from our home-milked goat milk. Its quite easy and I do it now on a daily basis! Only difference between the chevre I make and what you buy in the store is that ours is extremely fresh (taste just blows you over) and its raw – has not been pasteurized. With 1 gallon making about $30 worth of cheese (about 30 ounces) we have a lot of cheese! 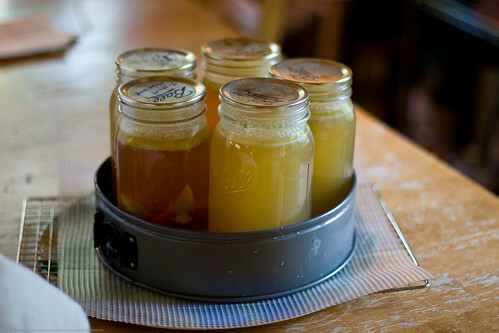 I also make yogurt, Labne (strained yogurt), and buttermilk. We also drink it fresh. All of this is consumed raw so that we can get the full benefit of the special ecology of our goats. We do love them so! Back to the chevre. 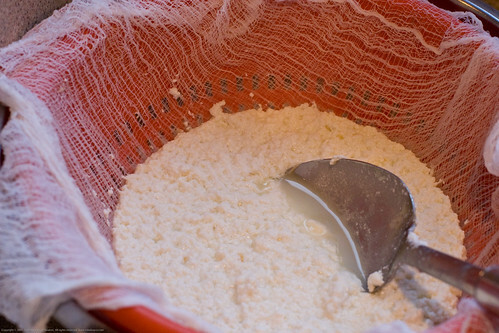 In the near future I will be making semi-soft, semi-firm and hard cheeses from the goat milk but for now its chevre. This cookbook could not have come at a better time. Not all of the recipes are for chevre, some are for the other sorts you can buy at better cheese shops (Whole Foods for example). I tested out a chevre recipe and found it to be simply fantastic and one that I think I could eat several times a week and at any time of day (great for breakfast, lunch or supper). I highly recommend this book for the experienced cheese type and to those of you who are new to goat cheeses. Foard has an excellent section at the back of the book that goes over the different types of goat cheeses that are made. She does a beautiful job in the introduction to the book giving you a sense for how she came to goat cheese (she kept a goat and then it all spiraled out from there). The many recipes and photos span a great variety of palate pleasing dishes that are sure to hit on some of your own favorites or entice you to make something new! I tried out a recipe on Page 86 called “Farmstand Lettuce with Baked Goat Cheese Buttons and Rosemary Walnuts” but had to change a few things. I can tell from the photo that this would be a fantastically delicious salad. Thing is, we have nut allergies so I had to pass up on those delicious sounding rosemary walnuts. I also had to improvise a bit with the rest as I realized I had no panko! I decided to use some unsweetened organic flaked coconut with rosemary and turmeric (to give it a golden color) as a replacement for the panko. One last change I made was that I pan fried it (in organic coconut oil) instead of baking it as the book suggests. I served it with lettuce from our garden (mustard greens and other mesclun types) as well as coconut oil sauted red bell peppers that were so sweet and a delightful counter-flavor to the tangy goat cheese. I will list to recipes here – the one as found in the cookbook and then the one I actually made that you see in the photos here. Preheat oven to 350 F. Wash and dry lettuce, set aside. 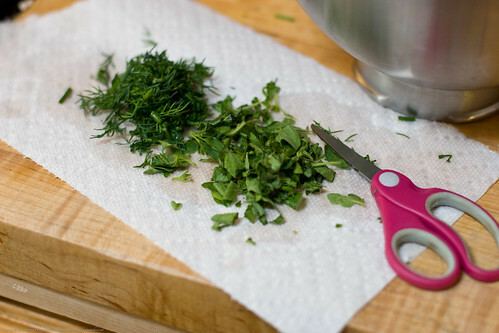 Place chevre and herbs in a small bowl. Poach the garlic in the olive oil (do not let get dark). 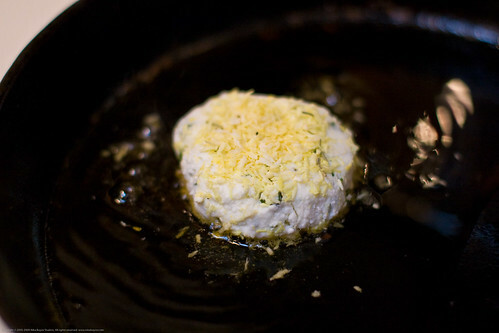 Drizzle 2 tablespoons of the garlic oil into the chevre and then mix with a fork. 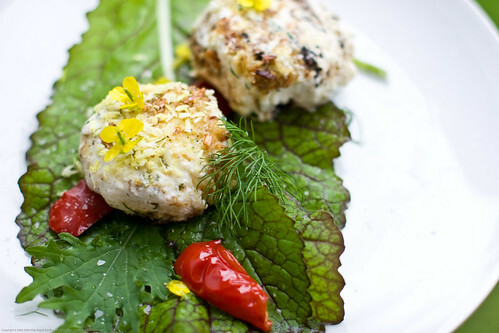 Make 4 little chevre patties and dredge them in the crumbs. Cover and put in the freezer for 10-15 minutes. Pour remaining oil into the bottom of a large salad bowl, add the vinegar or lemon juice, mustard, honey, and salt. Whisk vigorously until emulsified. Toss lettuce in this and put out onto 4 small salad plates. Bake the cheese buttons for about 7 minutes or until the cheese JUST begins to soften. Remove from the oven and cool slightly. 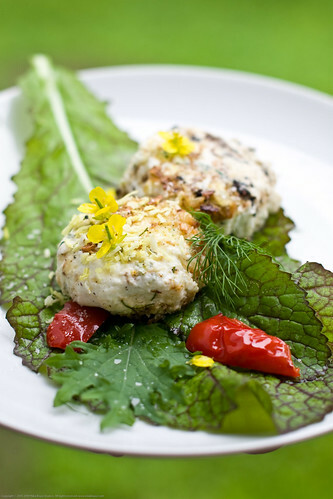 Serve out onto the salad plates, top with the Rosemary Walnuts and add toasted baquettes. 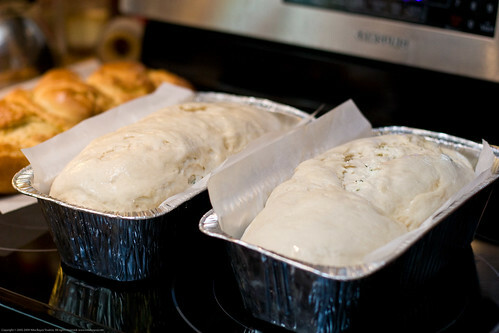 Preheat oven to 350 F. In a small baking pan, combine walnuts,olive oil and rosemary. Toss and coat. Spread them out in the pan and sprinkle with some salt. 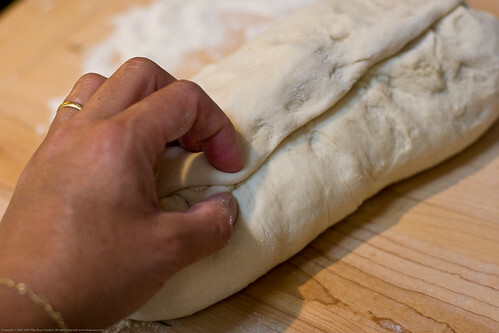 Bake 7 – 8 minutes or until fragrant. Do not overbake or burn! 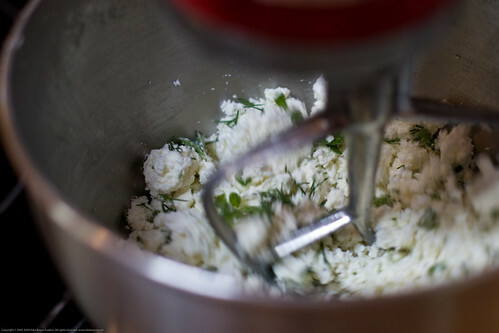 Mix chevre, minced herbs and salt until distributed. Form into buttons or patties, mix coconut, turmeric and rosemary, at coconut mixture onto the two sides of the cold chevre buttons, put in freezer for 10 – 15 minutes. Add coconut oil to a medium cast iron pan and allow to melt. Fry the buttons until golden. Use a heavy metal ad sharp spatula, flip quickly and then remove carefully. Serve with eggs or as a salad. 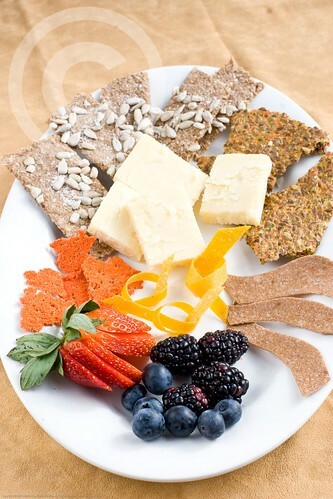 I have been working with our new dehydrator to create several types of crackers and fruit leathers. The goal is to understand what the drying process does to various foods and to test some of the recipes one finds on the web. Everything I will ever make will be 100% nut free. We have a zero tolerance policy on nuts of any kind. Note that coconuts are not tree nuts and do not present tree nut allergens so I like to use coconut flesh, milk, butter, water, and juice! I definitely enjoy making all manner of smoothies and munching on salads but its also good to have some texture for the need to nibble on dense food stuffs. I want to forestall cravings for Lays potato chips! To wit, today’s post is on what I ate for breakfast this morning. After whipping up some cheese grits and homegrown chicken eggs for the family, I pulled together this plate of crunchy goodness. 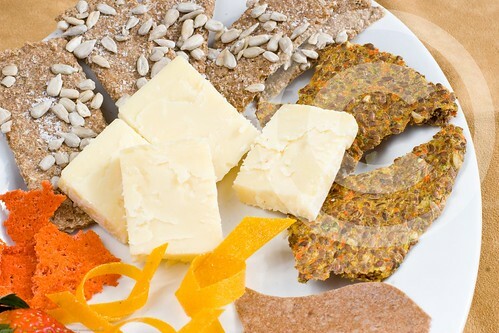 I have a few slices of raw cow’s milk aged (5 years) cheddar cheese (Black Diamond) – notice I am not vegan, beta flax crackers (recipe here), sprouted wheat berry crackers, carrot ginger crisps, mango leather, and banana leather. 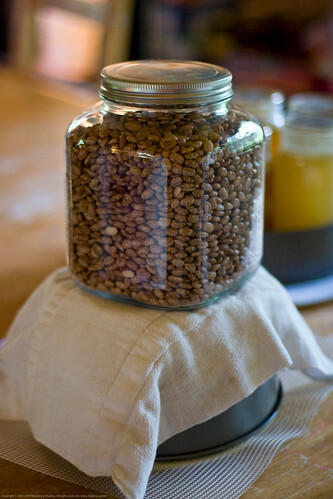 Sprout wheat berries (will take several days, I do it until primary shoot begins to emerge). Put sprouted grain in food processor, add the shoyu, lemon juice, and olive oil, process until the grains have been macerated. You might need to add a bit of water to get the mixture to macerate and form a dough. Spread the dough onto paraflexx sheets in the shape of crackers (so that you will not have a hard time cracking them into shapes later). Sprinkle with the raw sunflower seeds and press them into the surface of the crackers slightly. Start dehydrating at 135F for an hour or so then turn down to 115F to dry over night. In the morning, flip the crackers and if they are still dark (not dried) underneath, put them back into the dehydrator until dry. Do not over dry. Store in a zip lock baggie. Notes: When I make this next time I will add more shoyu and also sprinkle a bit of salt ontop as it goes into the dehydrator. Over time I will likely need this salt less but for now it seems this recipe needs that, for my taste. Peel and juice the carrots. Save the pulp, add to a blender jar. Add back in the carrot juice, lemon juice, and the ginger. Blend the mixture, adding the organic coconut water as needed to encourage a puree to form. I almost killed my blender with my beta flax cracker recipe (began to smoke) and then this recipe was challenging for my run of the mill blender. Be careful with yours! Stop it often to mix the unblended stuff at the top down into the lower parts of the blender jar. You do not want this to be really juicy either. Using an offset spatula (your very best of friends for a lot of these recipes), spread the puree/mix out onto the paraflexx sheets, might take 2 or more. Dehydrate overnight at 115F. It goes fast so you might want to keep checking it, depending on your conditions. Notes: the ginger is fantastic with this crisp! Its an intense experience and I am still thinking of how best to use it. Might be nice in salads, might make an interesting topping on another recipes. Peel mangos and remove flesh from pit, put into blender jar. Add lemon juice and then blend. Add coconut water as needed to help the puree loosen up just a bit without getting too juicy. Using an offset spatula, spread the puree/mix out onto the paraflexx sheets. 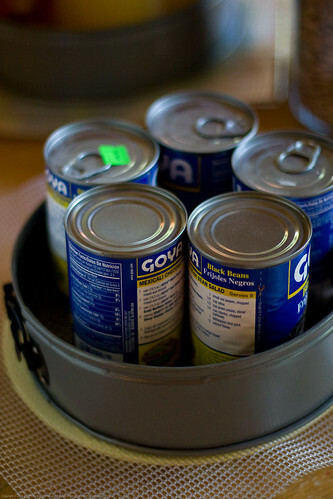 Dehydrate 4 – 6 hours at 125F. Keep checking on it, depending on your conditions. Objective is a dried, slightly tacky sheet that is not so dry that it is brittle. When done, remove from sheet, roll up in a parchment paper and store in a baggie in a cool dry location. I use a rolling pizza cutter to cut my leathers. Peel bananas and put into blender jar. Add lemon juice and then blend. Add coconut water as needed to help the puree loosen up just a bit without getting too juicy. 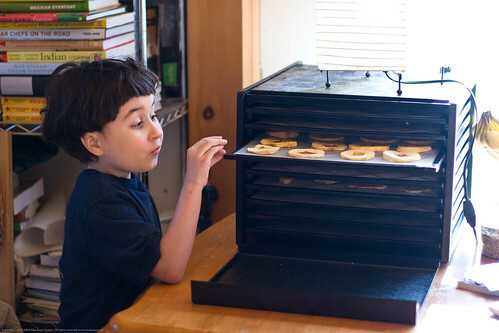 Dehydrate 4 – 6 hours at 125F. Keep checking on it, depending on your conditions. Objective is a dried, slightly tacky sheet that is not so dry that it is brittle. This banana leather might dry sooner than this, keep an eye on it. Mine turned out a bit more like banana toffee which is not necessarily a bad thing! I know my limits in terms of diet and I know I need lots of texture. These things should not be what you are eating 100% of the time. A raw food diet should consist of mostly simple fruits and vegetables, some seeds and grains, LOTS of water, and in our case, raw dairy. If you are interested in getting a dehydrator yourself I can tell you that I am just tickled pink with my Excalibur 9 tray dehydrator, the only one I have experience with. Their page is at this link.